It seems all the “cool” start-ups these days are in the B2C space. List after list of the startups to follow includes mobile apps that you and your friends have got to have. You read about what they are doing and some of them are absolutely cool and have the potential to change the world. A lot of them also have no monetization strategy. Which brings us to the “uncool”, “unsexy” world of the B2B startups. Those of us working on creating a business to solve a business pain often get overlooked as we probably lack the cool factor. We are also highly focused on solving a business pain that we have personally experienced, so only people who have experienced that specific pain in their business can fully understand what is the value we bring to the table. But the real advantage in the B2B space is the ability to monetize and to monetize early. You may not need investors. In the B2C space the revenue models are uncertain, and revenue is a long-term strategy. 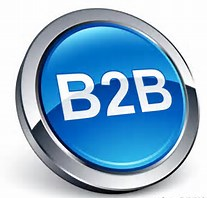 In the B2B space you can become self-sufficient early. Revenue is a short-term strategy. Relevant business experience. You have lived a pain and in the process of addressing it you have come up with an idea or a way to solve it. You will be able to understand what your clients go through. You will be able to talk the talk. You have a network. You have built a network of connections that can be either potential clients or that can help you connect with other potential clients. This entry was posted in B2B, Startups. Bookmark the permalink.